An Amazing Complement for STAR and a Scalper’s Dream! To Each Base Currency And Each Timeframe! Results Not Typical. These Depicted Situations Are Not A Guarantee That You Will Experience The Same Or Similar Situations Or Have Any Particular Kinds Of Results. 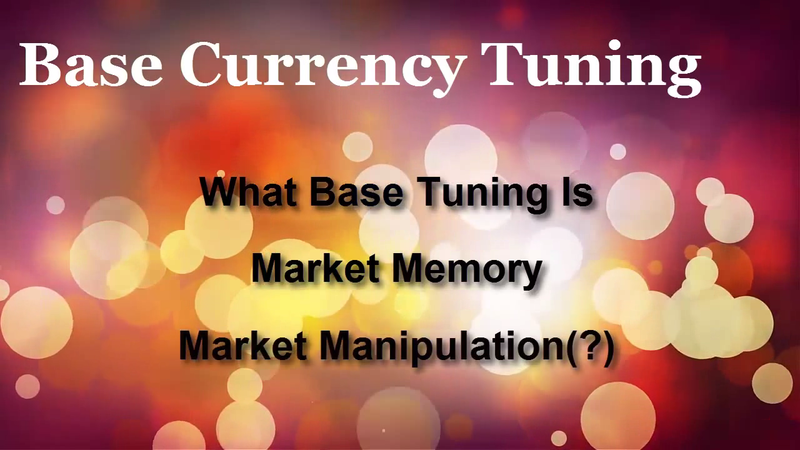 Do You Want Your Forex Tools Built To Take Advantage Of It? The Exact Fibonacci Ratio That Every Base Currency Runs On! You know Support and Resistance zones based on previous price action patterns on the horizontal plane is widely attempted. Often it works great but sometimes not so much. Of course we traders want something that will be reliable. Well we definitely have that! You can reliably count on the market to disappoint you when you count on something like that too much because it will show you just how complex an animal it is. I’m TS Hennessy. (For no other reason but so you know who it is that has developed Base Tuned Tools and that I know about markets allow me to take a second here to introduce some accomplishments). I discovered the 2nd critical speed control to accommodate market speed changes. Let me make this story SHORT! Using STAR tools I stumbled upon something which has been hidden as long as Leveraged Instruments like Commodities and Forex have been around. STAR tools have a minimum and maximum speed setting so you cannot possibly choose the wrong timeframe. I was outside the maximum for any timeframe and happened to be at a Fibonacci Ratio that was at the heartbeat of the Base Currency I was observing. This set me up to observe a secret of which even I was unaware. Everything was lining up with amazing precision no matter which timeframe I chose. Even the historical view lined up like this. I changed the Pair and it all went away. Once I hunted down that it was the PAIR and ultimately that all the BASES of that Pair worked the same way it was just a matter of time before I found ALL the ratios for ALL the bases and the market’s sneaky secret was out! Now I want your Technical Analysis to evolve yet again. Because once you have Base Tuned Dynamic Support and Resistance (BT DSR) it’s likely you’ll no longer feel like a sheep in the herd but a professional. It might seem like an unnecessary addon to STAR but it is actually a perfect complement to take much more out of the market. STAR works by mapping to building blocks that are everywhere. That’s because the building block we use is the largest one common to all of the possible formations. The mapping of speed is done by corrective areas. These are known to STAR traders as “Trait Building Reversals” but they do not signal on their own particular ‘scale’ or ‘term’, but are just ‘parts’. So the smaller scale of these ‘parts’ can be taken advantage of by BT DSR! Target Practice is SO MUCH FUN! As I am writing this update to this page it is 3 years to the day since I published the video above on Youtube. And just like in the video allow me to show you the PLANNING you can do from a trade I took this very day. It demonstrates that this never stops. Fibbo is today and will forever be ALWAYS ON and UNDERLYING ALL PRICE ACTION! When Magenta Flattens there will be volatility. I looked for a target on BT DSR. Pic 2 shows a nice hit! I’m LONG on this Planned Trade. See Results Slides! The BT DSR Proprietary Indicator has been added to 50 MT4 Templates already set up for Fibonacci Ratios AND Fibonacci Timeframes. You get all these preconfigured templates but you can create any value you want with the presets adjustment. Want same outlook as though MT4 had an M89? Got you covered already. However if you want you can make a new template for M42. Remember the BT DSR Indicator will self-adjust for whatever timeframe you place it on. That’s ultra important because static indicators are forgetting that to change from M1 to M5 is a factor of X5 but from M30 to H1 is a factor of X2. (Look at the precision we’re seeing and you’ll realize IT MATTERS). Also this indicator uses high precision floating point decimal settings – Are yours just using integer? That’s ok… you aren’t asking them to do anything important anyway. You also have these templates added to preconfigured Market Overview and Pair Specific Pair Overview Profiles. 34 Pairs and 17 Market Overviews. Well let’s say you want to trade on a fast term such as M5 but have not decided the best Pair to TARGET and PLAN. The Market Overview Profiles allow you to scan that timeframe and view how 21 Pairs compare on the SAME Fib Ratio for a Level Playing Field look. Views Of The Market At Once. I have a vision for your success in trading. It’s one where you allow your learning and understanding of the market to be taught BY the market so you Grow as well as Earn. That’s why I’ve made you better tools. With BT DSR Tools You Can Fully Expect Your Market Understanding To Grow Exponentially! Yes with anything revolutionary like this there will be some “learning curve” so just take less than 1% of the time you’ve wasted searching and apply it here. I am taking All The Risk. Love BT DSR or within 30 days let me know and I’ll refund all your money. No questions asked and you may even keep the system tools and my friendship. You’ve nothing to lose here. Once you’ve done that you will go to the page which directs you to join our dedicated training membership at Supertradersclub.com where you will have your tools, training and resources. That comes free for life with your purchase as do future upgrades. Then you will receive a confirmation email that your BT DSR Member access has been opened. Allow a short time for this manual process (up to a day, usually hours) and you’ll be on track immediately to a better future. Take Action Now before it’s too late… Click the Buy Now Button and Get BT DSR today! No. BT DSR Tools consist of multiple templates and profiles that contain indicators and these tools are used on the free software platform Metatrader 4 which also supplies the data for charting and analysis. What makes BT DSR functionally different is the employment the revolutionary BASE PAIR adjustment. This is where the magic happens to give the trader Fibonacci decision support. BT DSR Tools are used in decision support and so that aspect of their use is covered. Please realize this is not a trading system so their are no criteria or rules. You will be given installation instructions as well as guidelines for what to expect with each kind of MA under varied conditions. Can BT DSR work for stocks or futures or commodities? BT DSR cannot be used for stocks or futures. These actually run at a different frequency than the one on which BT DSR is tuned. Commodities GOLD and SILVER are included and you may use them as long as you have the symbols available in your MT4 trading or demo platform. What results has BT DSR achieved? BT DSR has achieved great results according to owners, however these are their own personal results. Since there are no rules or criteria the tools are used in decision support and so no possibility exists to track results. If you are able to see the precision and the market memory in action then you are encouraged and often this is the difference in great trade plans. Are future upgrades included free, even major release numbers? All future improvements to the product are included regardless of revision level you purchase! There is always technical help at the support email address if you run into technical trouble. If you wish for me to interpret a given chart please realize that I cannot give any specific advice about what prices may do in the future. I find this an extremely transparent set of patterns which consistently gives decision support. This has no rules or criteria and is not even a system but a tool. As with all tools your proficiency grows only with usage. I believe it is intuitively self-teaching. I grow more proficient with it every moment I use it. I am sure that is what you wish to achieve for yourself as well and I am confident that you will. You don’t need to wait for current moves to learn because the history is right there and shows the patterns. That’s how I was able to instantly recognize this gem. Is this a subjective real-time approach? Yes, whenever you use a decision support approach, even if based upon basic underlying market building blocks, if it has no criteria that specifically signals a trade, it must be considered subjective. But a highly experienced pro race driver uses subjective decisions to win a race. The driver uses knowledge and developed instincts and trusts what is seen based on past experience. At first you should observe how the market has interacted with it. As you ALREADY see, the market has a keen memory and is laser focused on Fibonnacci ratios and factors. In the beginning you should look for concurrence of multiple MA?s at the same zone on 2 or 3 different ratios. It may be considered good for at least a bounce in this area and you will notice that certain patterns are better for stronger moves. Plan your position for that reversal zone and use safe money management and position sizing to reduce both fear and greed. Keep average true range in mind and consider splitting your position to take profits at intermediate profit targets that the whole picture provides. Follow the other guidelines I give with the package for tendencies of each MA type used in the tool and generally in the market. You?ll be that driver because you will have the window on what?s been going on as your own inside intel. Let the market show you how good IT is at math and take you in the car for some training laps. It is my contention that ONE or more of the MA?s WILL be the one to support or resist price. Hadn?t you better learn the patterns so repetitively followed that just one look at my discovery and you know I have stumbled onto the heartbeat of the market? I can tell you these patterns do repeat! The market has a variety of ways it will use the MA?s to create reversal zones, breakouts, channels etc. I provide the tools and guidelines. The market does the rest and it?s likely you?ll no longer feel like a sheep in the herd but a professional.